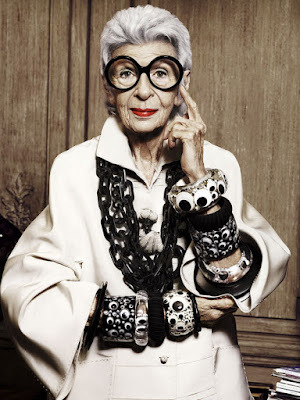 Iris Apfel started her career as an interior designer. 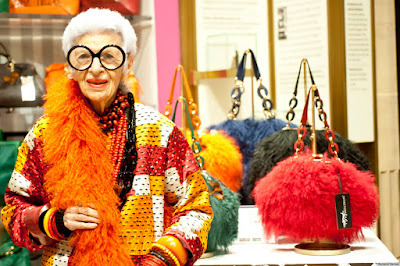 In 1948 she met and married Carl Apfel. Together, they started the Old World Weavers that specialized in restoration furnishings. Their most famous client was the White House. They worked with 9 presidents but had problems working with Jackie Kennedy. 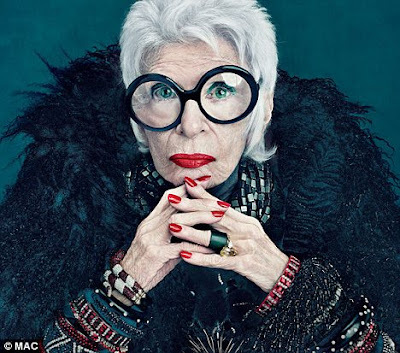 In 2005 The Costume Institute at the Metropolitan Museum of Art in New York premiered an exhibition based on Iris Apfel style and her enormous clothing and jewellery collection. The exhibition was such a huge success that made Iris extremely famous and changed her life. 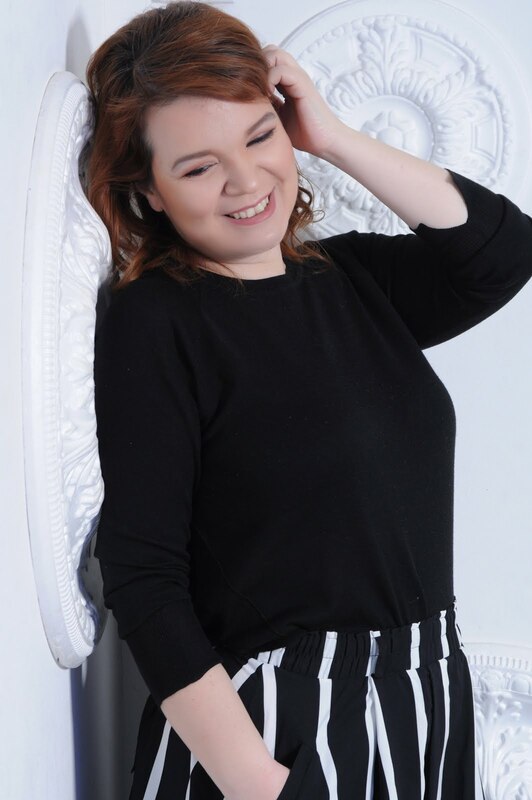 She has now her own jewellery and accessories line, she collaborates with big fashion and beauty brands and she consults and lectures about style and other fashion topics. Her husband died two months ago at the age of 101. 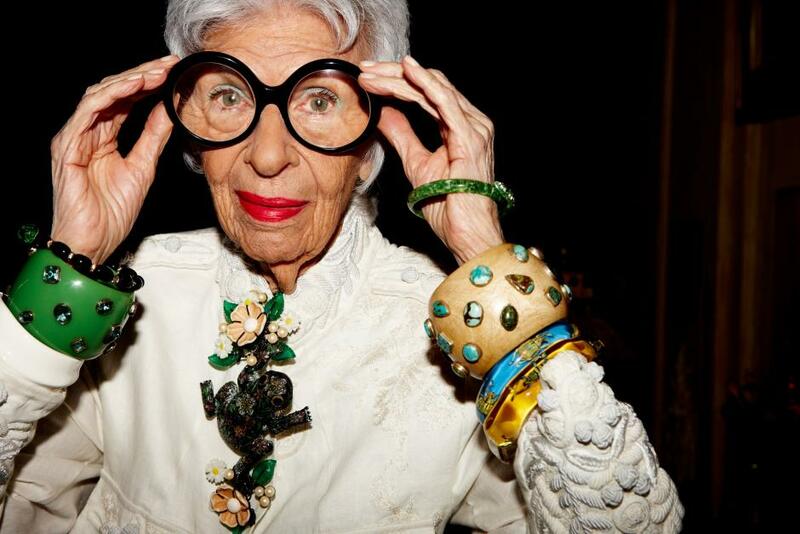 One of her most famous quotes is: "When you don't dress like everyone else, you don't have to think like everyone else".